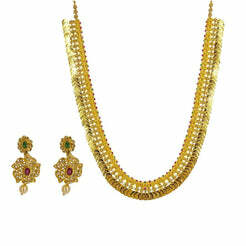 2.53CT VS Diamond Necklace & Earring Set in 18K Gold W/Multi Gemstones for women. 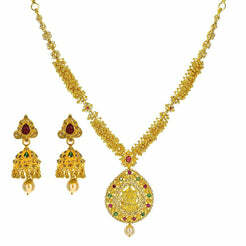 Elegant diamond necklace with gatework open pattern design set with stunning brilliant VS diamonds. 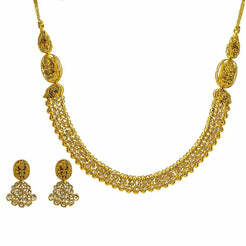 Set features necklace and earrings that have a changeable stone pendant. Stunning pear cut emerald stone with additional drop pearl accent. Gold weight is 29.73 grams. Beautiful occasional and bridal jewelry set.